The Milford Public Library in collaboration with Eye Physicians and Surgeons of Milford, will present a program on glaucoma. Dr. Omar Faridi, a specialist on this disease, will present the program. 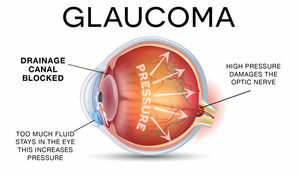 Glaucoma is a leading cause of blindness and visual impairment in the United States. Known as the “sneak thief of sight”, many people affected with glaucoma do not experience symptoms and may not be aware that they have the disease until they have lost a significant amount of vision. With early detection and treatment, eyes can be protected against the serious loss of vision or blindness. The program is free and open to the public. Come and learn about this condition and options for treatment.